Blue Jay Cinema takes the Motion Picture Association of America’s ratings system seriously and encourages parents and guardians to familiarize themselves with this system when selecting their film. Moviegoers must be 17 years of age or older to purchase tickets to a Rated R film and are required to show a physical I.D. Additionally, any guest that appears under the age of 25 will be required to show ID for admittance to a Rated R film. 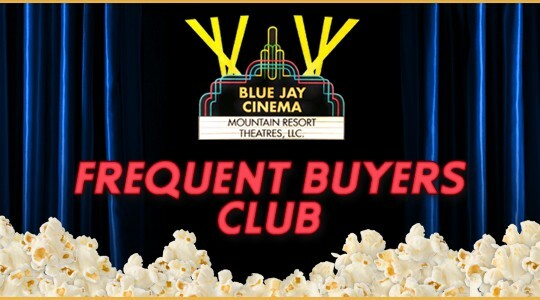 Blue Jay Cinema requires that a parent or adult guardian over the age of 21 purchase tickets and accompany any guest under 17 years of age into the auditorium of a Rated R film and must accompany them throughout the movie. Sign up to receive the latest news and movie information. Give someone you care about the gift of movies at Blue Jay Cinema.